A local news affiliate went inside Tesla’s 1.2 million square foot Gigafactory 2 in upstate New York for a firsthand look at what the company is doing inside its less celebrated solar Gigafactory. Unfortunately, Tesla did not allow them to film the interior of the plant, but instead provided its own footage of the operations. For anyone who has worked in manufacturing or run the corporate rat race, this type of secrecy is normal, as there are many proprietary operations within any given manufacturing plant that are guarded as competitive advantages, among a slew of other reasons. The secrecy requested by Tesla left the newscasters confused and pondering the reasons for the secrecy, which, after working nearly 20 years in the world of corporate manufacturing, feels a bit silly. That’s normal and even more of a standard at tech companies, where cutting-edge software and manufacturing processes can make or break a company. Tesla is on track with its hiring requirements and is, in fact, slightly ahead of the hiring milestones that were built into the $750 million tax incentive package that lured SolarCity to build its Solar Gigafactory in the state. Since late 2017, the factory has been producing Tesla’s Solar Roof Tiles, which is fascinating considering that the company is still only producing the tiles at low volumes (as it works to put the final touches on a product that’s going to have to last through its infinite warranty … or at least as long as the home lasts). According to the milestones on its tax incentive package, Tesla was required to have 500 employees at the factory by April of 2019 and it has already blown that number out of the water — 800 employees currently work at the facility. Much like at Tesla’s Gigafactory 1 outside of Sparks, Nevada, the employee base is split between Tesla and its partner in crime production Panasonic. There’s a similar arrangement for the production of Tesla’s solar products at Gigafactory 2 as for its batteries at Gigafactory 1. 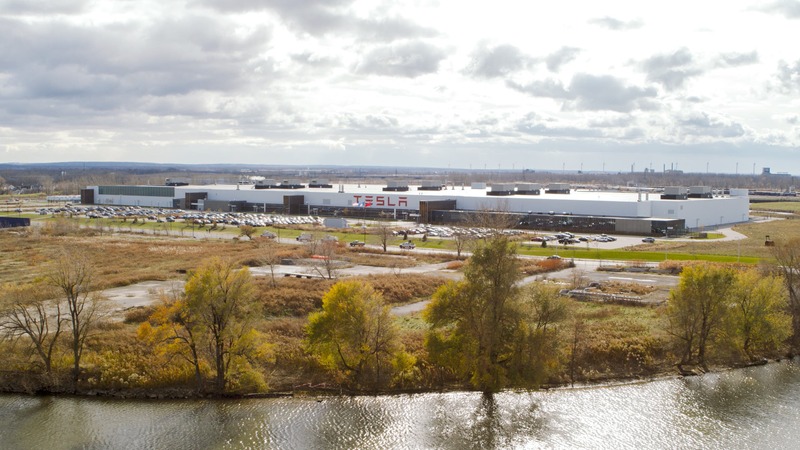 The 800 employees at Gigafactory 2 are split nearly evenly between Tesla and Panasonic and represents a nearly 30 percent increase from the middle of the year, indicating a significant increase in production capacity at the site. 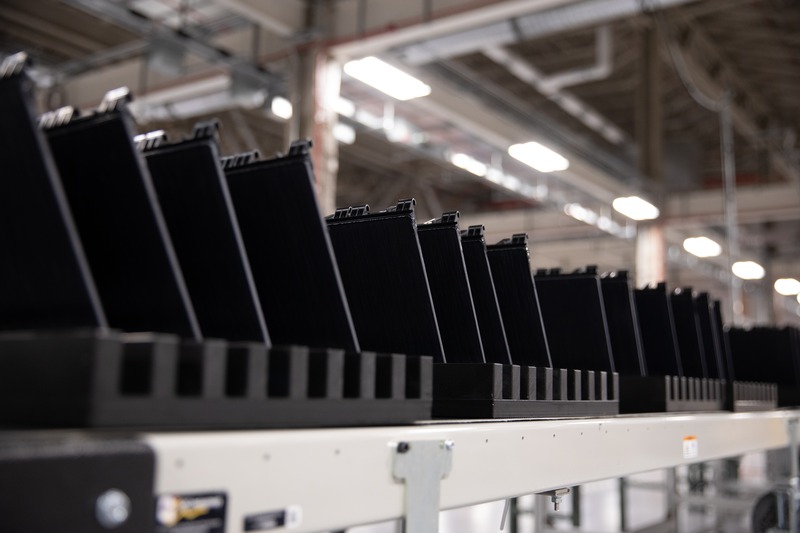 That increase comes in advance of Tesla’s refocus on its solar business, which resulted in 10–20% price reductions of its residential solar products to reflect the improvements it has made in optimizing its solar sales and supply chain systems. Moving forward, Tesla must have 1,460 employees at the facility by 2020 as part of the ramp up to 5,000 employees in the state within 10 years. They are ambitious targets for a part of the business that is only now starting to feel like a real part of the Tesla family. Tesla’s solar business was hyped up with its Solar Roof Tile product in advance of the acquisition with SolarCity, but it was put on the back burner to allow the company to focus on building and delivering the Model 3 since it was the key driver of profitability. Now that the chaos of the year-long Model 3 launch has stabilized, the company is starting to oil the gears on its solar products. Tesla is preparing to follow a similar ramp up of sales that the company saw in its automotive business. To do that, it is going to have to have the production capacity to do that, and from the looks of the stock footage of Gigafactory 2 that it shared with WRGZ, some serious automation is going to be required to take the production of its Solar Roof Tiles from the manual processes shown in the video to a process that can churn out millions of the tiles at quality, and at a cost real people can afford. The news report comes tinged with the skepticism we see across mainstream media channels. Every question Tesla didn’t want to answer was immediately turned into a reason to doubt the company. For example, they asked about the price of a Tesla Solar Roof Tile roof and Tesla declined to comment, noting that it depends on many factors — like the size of the roof, the complexity of the roof, and the percentage of the roof that is covered in actual solar-producing cells instead of just glass roof tiles. Anyone who has had a solar system installed understands that complexity of designing a custom rooftop system that fits the needs of the homeowners, but in all fairness, that’s probably not as well known in Buffalo, New York, where snow is more familiar than sunshine. The news outlet also made a point to highlight one of Tesla’s other signatures that not many outside of the media see. It does not make a habit of offering up quotes from individual employees, other than that crazy Elon guy. Head on over to the WRGZ site to look inside the factory and hear the journalists’ local perspective on Tesla’s Gigafactory 2.